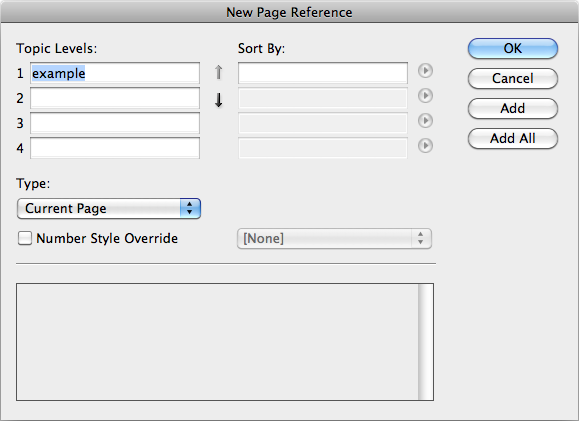 Wrangle up InDesign index entries… without InDesign. | Colecandoo! 7 Responses to Wrangle up InDesign index entries… without InDesign. Great solution! I would be curious to see if InDesign CC, which has been rewritten for native 64-bit support, would be able to handle this with just Peter’s script. I’m about to build a 1,200-page book from spreadsheet data from the client, loading it into my dbms to categorize and sort it into sections (chapters), and using Applescript between the dbms and ID CC to build chapter files, for the book. Lots of names to index which I’ll build with Applescript by creating separate and non-printing text frames which contain with the index character style. This creates ID CC index entries which sort by lastName. Thanks so much for this simple technique! Now all I have to do is figure out the Applescript. I haven’t been able to find any indexing commands in the AS dictionary, so this completes the puzzle. This works great if the character styles are already in the text, but what do you do if you need to add the character styles to raw text? My example needs a character style applied to the text at the beginning of the paragraph, up to the first tab character. Naturally, I tried building a nested style to apply this, but surprise! When exporting the text as ID Tagged Text, the nested character style does not show up in the markup. 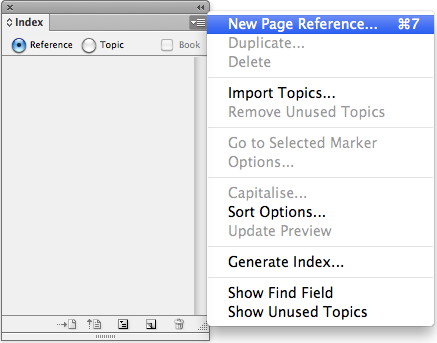 Does anyone know of a way to force the nested style definition to get included in the IDTT? Hmm. I tried the tip above, using Tags to map the character style to it, but it didn’t produce the results I expected. However, the first comment had EXACTLY the right solution, and is SO SIMPLE it’s not surprising that it didn’t occur to me. I didn’t realize that a nested character style could be searched for using the Search by Format dialog, then Replace with Format, using the Character style. Then export to IDTT, and boom. The appropriate format to do the GREP search and replace. My case is completely consistent; what I really need is index tags added to all text from the beginning of the paragraph to the first tab character. My GREP skills are pretty rudimentary, but I know this should be possible. Should I just use ^.+? (?=\t) then apply the replace to get everything up to the first tab indexed?